Uniform in size, weight, and concentricity. ACCURACY: The manufacturing processes at Hornady ensure extreme precision, uniformity and accuracy. 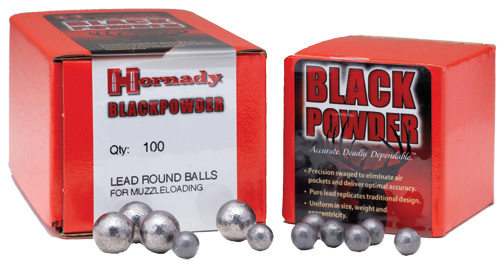 Hunters everywhere are discovering that by using Hornady muzzleloading projectiles, centerfire accuracy can now be obtained from their muzzleloading rifles. Lee Liquid Alox is easy to apply. 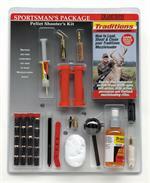 Eliminates leading and coats the entire bullet like a thin jacket for better accuracy. Revolver Round Ball .45 Cal./.457 Dia. Hornady - Revolver Round Ball .45 Caliber .457 Dia. 100 Count. For use in the 1873 blackpowder "Peacemaker" Precision swaged to eliminate air pockets and deliver optimal accuracy. 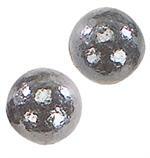 Pure lead replicates traditional design. Revolver Round Ball, .36 Cal. Hornady/Traditions - Revolver Round Ball .36 Caliber 100 Count Precision swaged to eliminate air pockets and deliver optimal accuracy. Pure lead replicates traditional design. Uniform in size, weight, and concentricity. Sight-in-Pack Combination: 15 Smackdown SST 250gr .50 Cal. Bullets; 15 Plinker 240 gr .50 Cal. Bullets. This Great Combination offers an accurate target round and the award winning SST all in one box. Round Ball 50 Cal. Balls - .490 Dia. Bullets, Hornady - XTP Hunter 240gr/50Cal/30ea. XTP Hunter 240gr/50 Cal, 30 pac.Jacketed Hollow Point muzzleloader bullet. Revolver Round Balls (.454 Dia.) Precision Swaged Comes 18 to a pack. Bullets, Hornady - XTP Hunter 300gr/50Cal/20ea. XTP Hunter Jacketed Hollow Point Muzzleloading Bullet by Hornady. 300 gr, .50 cal. 20 to a pack. See "More Info" for details. Bullets, Smackdown SST - 300 gr. Smackdown SST, by HORNADY, polymer tiped bullets, rated best of the best by Field & Stream. 300 grain, .50 Cal, 30 to a pack.